With this 24 GA, 18” wide panel engineering, you may opt to use heavier gauge coil and narrower width panels. Clip spacing will not change. For slopes lower than a 2/12 roof pitch, install sealant per ASTM E 2140. This panel uses a 24” coil. Maximum width coil of 24”. 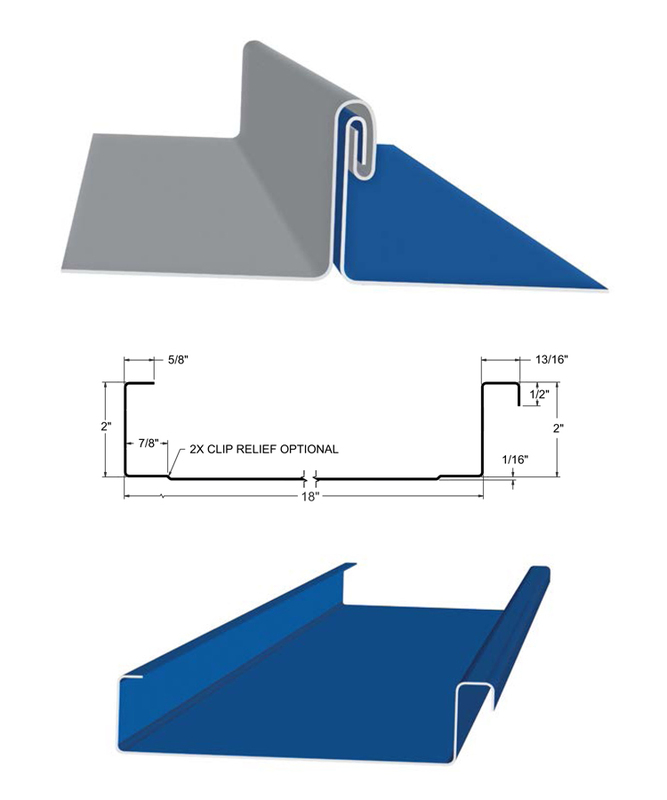 This panel uses 5-13/16” of material to form the panel. If you take the square footage of the roof and multiply that by 1.34, the total will be the amount of coil needed to manufacture the panels.